May was the month of Green scraps. 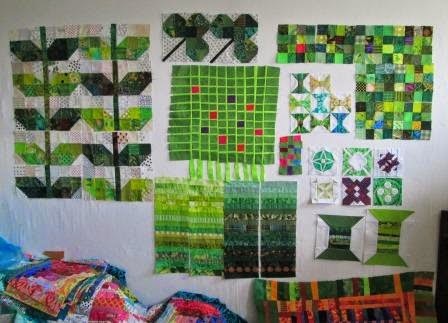 I thought on the weekend I would fill my wall with all the Green blocks I have done this year and last year. 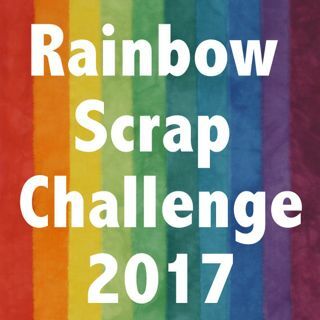 I am very late but I will add this to the Scrap Saturday over at Soscrappy and today being Monday Design Wall Monday with Judy. I got this green free form piece last week but had not downloaded my photos till today. It started out as two Fat Quarters of green. Part way into re piecing it I thought it needed more interest. So I added the Bright flower like squares. I think of this as spring. 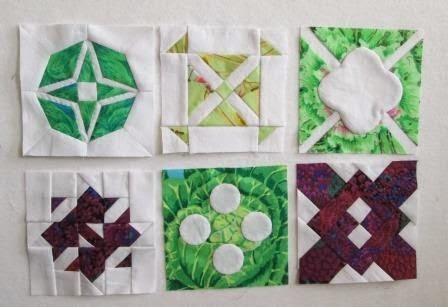 I got a few more Dear Jane Rainbow blocks done. Some purple ones are still needed and then the first few lime and green ones. 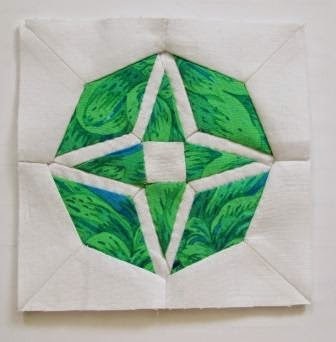 This little green block is total hand pieced. It is all Y seams so I thought I would try hand piecing and I am very happy with how it turned out. This is part of my colour plan for my Dear Jane. 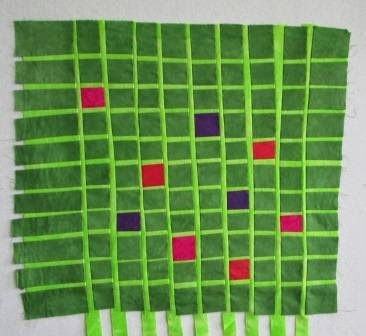 I have cut out a 1 1/2" square of each fabric I use to show the colour of each block. This way I will not have same fabric to close to each other. This Dear Jane is going to be very well documented. 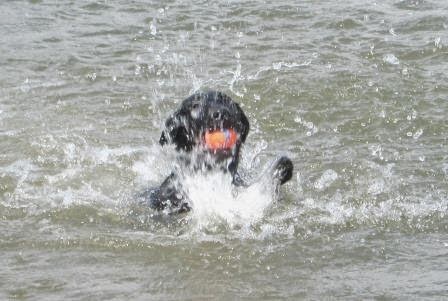 Gemma my 6 month old Lab puppy went for her first swim yesterday. 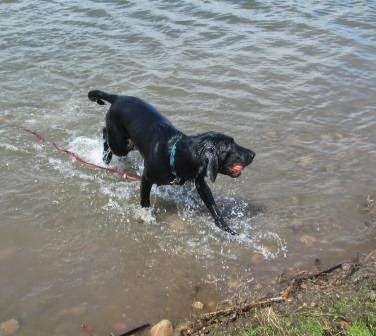 She had so much fun. It has been a while since I post photos of her. She is getting big and getting into more trouble. Good progress on the green. Your free form piece is great! Love the little pops of colour throughout. They really add interest. 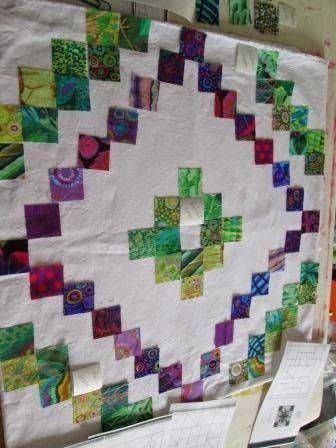 A friend is piecing a Dear Jane quilt entirely by hand. Whenever I see her she always has one on the go. Never an idle moment. The size and complexity in the piecing of the blocks really lends itself to handwork. Nice variety in all your different green projects. Great to see all the greens on the wall--like those shamrocks!! Interesting way to layout the dear Jane, so all the colors are documented!! My puppy is a year old & trouble is in his eyes when we get up. We just have to wear him out during the day. What a fun collection of greens. Love your bright and happy DJ blocks. I like your free-form piece very much, Cathy! What wonderful green-ness on your design wall!